From their eponymous 1978 debut through their colossal 1984 album (they've sold over 75 million albums worldwide), Van Halen rewrote all the rules. Nobody rockedor partiedharder. Photographer Neil Zlozower first met the band in 1978, worked with them again on Van Halen II, and soon became their friend, hanging out in L.A. and hitting the road on tour with them. 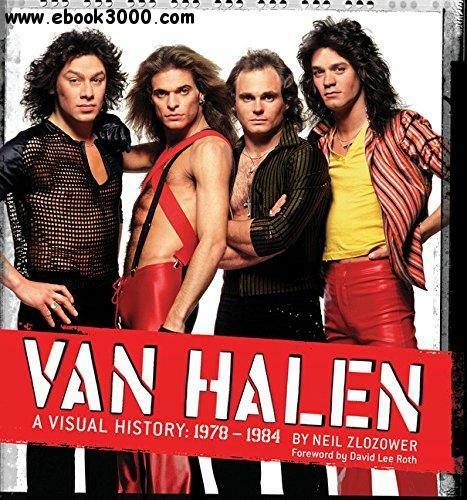 Van Halen collects more than 250 backstage, candid, and full rock-out photos of the all-powerful, spandexed, high-kicking, guitar blazing, stadium-shaking, original Van Halen lineup. Accompanying Zlozower's amazing photos are an introduction about his wild ride with VH, a foreword by David Lee Roth, and testimony from the rock pantheon paying homage to the band, including members of Led Zeppelin, Guns N' Roses, Def Leppard, Judas Priest, KISS, Motley Cre, and more. Turn it up!